1 | Last weekend I attended a masterclass with Alisha Nicole on the Art of Storytelling. It was so awesome! Alisha really helped me clarify WHY it's important to tell my story. And we all have one to share! She'll be doing the class online soon, so be sure to follow her to find out when. 2 | Recently I discovered Green Front Interiors, and I am ashamed that I'd never stepped into this gem before! Green Front carries designer furniture at super deep discounts be it's definitely one of my new Raleigh favorites. I mean, look at that coral CR Laine sofa they had just unwrapped! 3 | An apartment clubhouse renovation I designed is under construction and I cannot wait for y'all to see the transformation. The goal for this club room to was to create an updated luxurious feel. 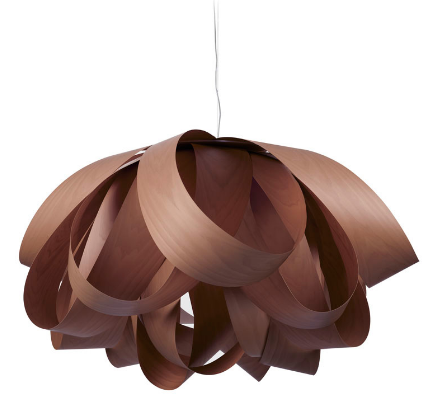 We're installing 3 of these oversized wood veneer strip chandeliers that are bigger than me! 4 | I got to see the HGTV 2016 Smart Home in person and fell in love with this hand painted wall detail! Now I'm inspired to try something similar in my own little studio. Stay tuned! 5 | Spent some quality time with my best cousin Amanda. Is there anything better than girls night? 6 | When you are touring a new client's home and they tell you "I love grasscloth wallpaper" and they already own amazing furniture like this? It's music to a designer's ears. I'm pumped to start a new project that includes building on an addition of 3 bedrooms and all new furnishings. 7 | Lastly, if you're in the Raleigh area, come check out the Level 5 Designs booth at the Southern Ideal Home Show this weekend! We're giving away a bar cart to one visitor, and we'll have sweets and sips. I will be there all day Saturday, so please come say hi! So, what's your September looked like?